Home The Arts “Horse Nation” artwork about as good as art gets. Anywhere. Sometimes I have trouble telling you what is really good. That’s because so much of Indian Country is amazing, and if I come off as consistently thrilled, I lose credibility. Still, the last year of writing reviews for The Circle confirms two things. First, great art moves you long beyond the time you spend with it. Second, the talent among American Indians here in the upper Midwest is equal to any in the world. That became evident again on a recent Sunday afternoon in a second floor exhibit room at the Minneapolis Institute of Art (Mia). 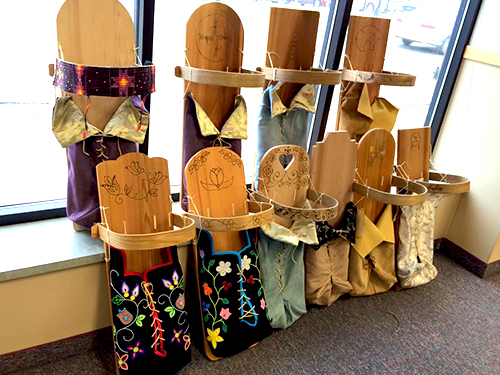 The “Horse Nation of the Ochethi Sakowin” includes more than 150 pieces of art spread over three exhibit locations, the Institute (through Feb. 3, 2019), the All My Relations Gallery (through Oct. 8), and Two Rivers Gallery (July 2 to Oct. 19). The art shows the deep impact and love for horses among the Lakota, Nakota, and Dakota tribal nations of the Northern Plains. Through whimsical, traditional and modern methods the artists explain the importance of the horse, a being as cherished as family members. You’ll find 20 of the works at Mia, including paintings, textiles, film and beadwork. Gwen Westerman’s quilt shows running horses beneath a star-filled sky, Tara Wahcahunka’s beaded baby moccasins feature tiny horses, and Denton Fast Whirlwind created the center pieced “Keepers of the Sacred Hunt” in acrylic. 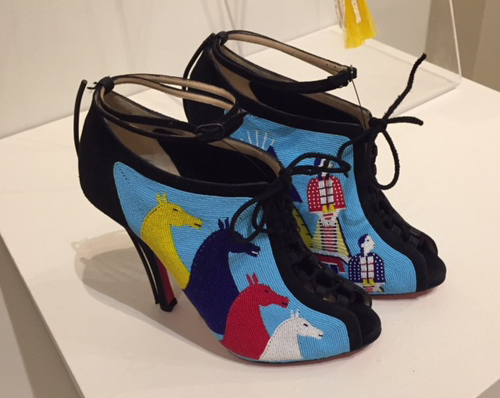 One of the most whimsical examples of beadwork by anyone anywhere is Emil Her Many Horse’s beadwork on Christian Louboutin boots. All I can say is you’ve got to see these. One more thing. A check on Google showed that Louboutin boots cost about three times what my car is worth. Make that four times. I know what some of you are thinking, and it is this. What does she drive? No, what you really think is this: It’s hard to get to the Mia (wrong, the bus stops right in front) and admission is expensive (wrong, it’s free). Or maybe you just don’t like large imposing buildings, (then go to the All My Relations Gallery) or maybe you’ve presumed the Institute collection is unrelatable. Please rethink. The Institute visitors in the gallery that Sunday afternoon were fascinated. You’ll feel that and more. Art can spellbind, startle and entertain all at the same time. When many works of art are collected in one location, the impact can be powerful. The “Horse Nation” exhibit is in three locations with free admission at each location. They are: The Minneapolis Institute of Art, 2400 Third Ave. S., Minneapolis. (Mia is closed on Mondays. 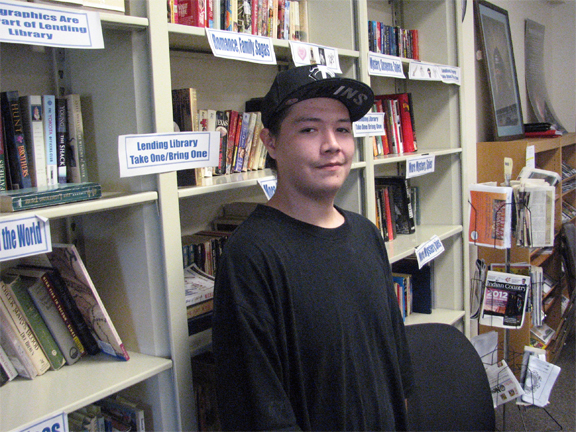 ); All My Relations Gallery, 1414 E. Franklin Ave., Minneapolis; and the Two Rivers Gallery, Minneapolis American Indian Center, 1530 E. Franklin Ave., Minneapolis. Mia will hold “Family Day: Horse Nation” from 11 a.m. to 5 p.m. on Sept. 9 at the Institute. The event highlights horses throughout Mia’s permanent collection, and emphasizes the Horse Nation exhibition. Special guests Dakota Wicohan will bring live horses and their young riders to the museum. Artists Keith BraveHeart and James Star Comes Out share knowledge about horse masks and regalia. And artist Marlena Myles will lead an art activity.